Contributed by Thane Silliker, STOC #730. Doing some clutch work on my high mileage ST today and took a few pics. 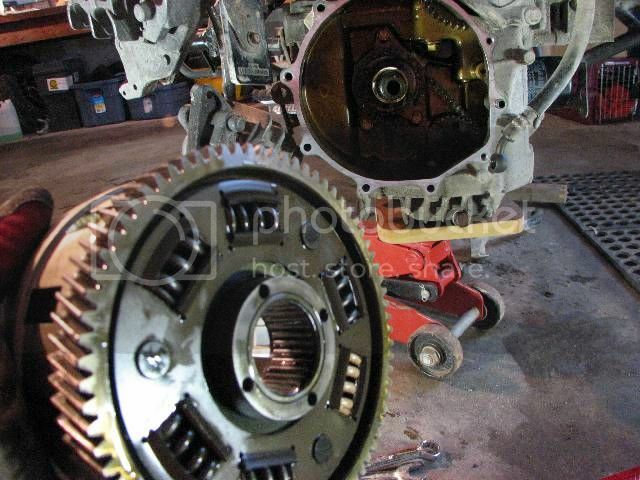 The bike has 380,000 kms on the clock (236,000 miles) and this clutch is original. I am also doing a complete makeover of the auxiliary electrical system, replacing the water pump, oil pump, timing belt, belt tensioner, idler pulley, replacing all the fork internals, as well as all the regular maintenance. And I have a lot of regular maintenance to do on the KLR, too! 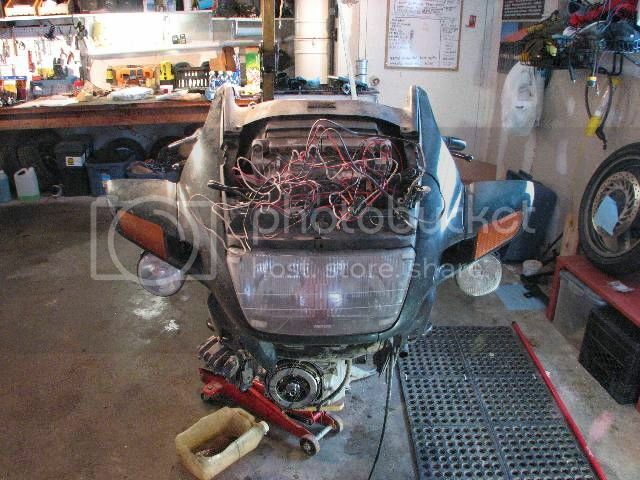 The bike has a ton of stuff removed, including the forks and radiator. Another view of the bike. Battery and grey side panels are removed for electrical work. 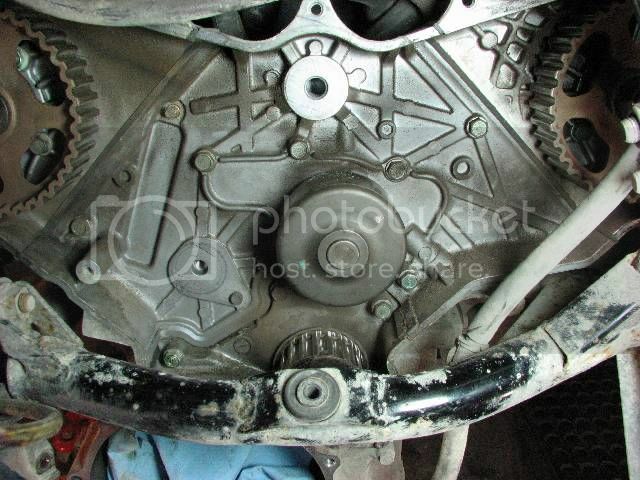 Here is the clutch out of the bike. 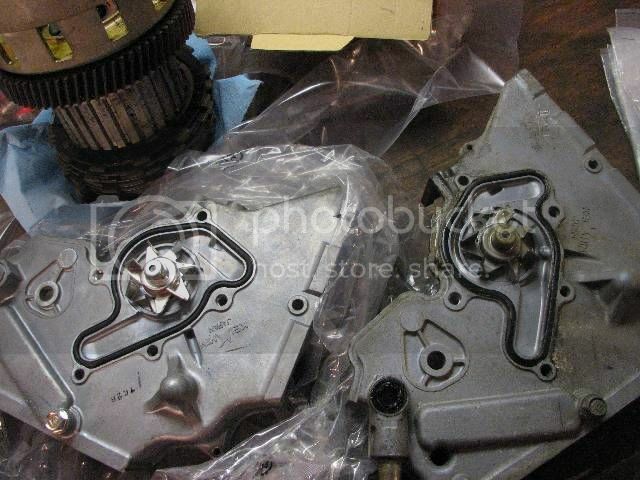 The part on the right inserts into the center of the clutch plates on the left. There are ten frictions plates, and nine plain steel plates between them. The two friction plates on each end of the sandwich are different part numbers than the others and look slightly different. The clutch housing coming out of the bike. 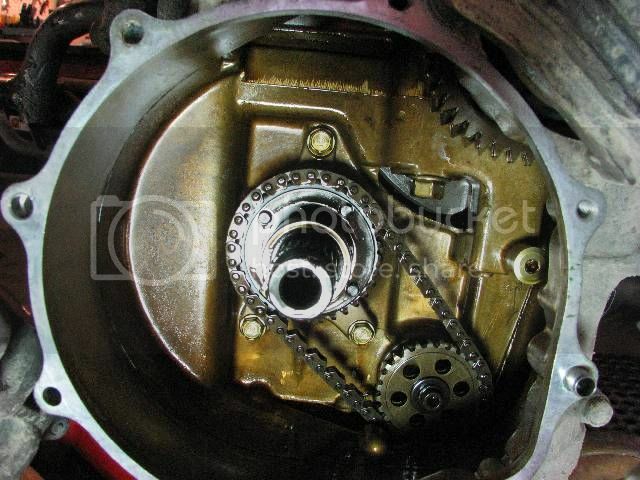 Inside the bike, the gear on the crankshaft is visible in the upper right portion of the cavity. It is cut on an angle and engages with the gear on the housing. 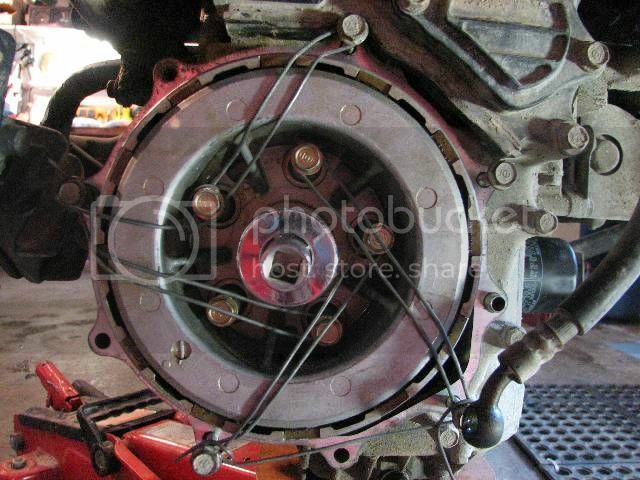 Springs on the back to reduce shock to the drivetrain in case of sudden engagement of the clutch. 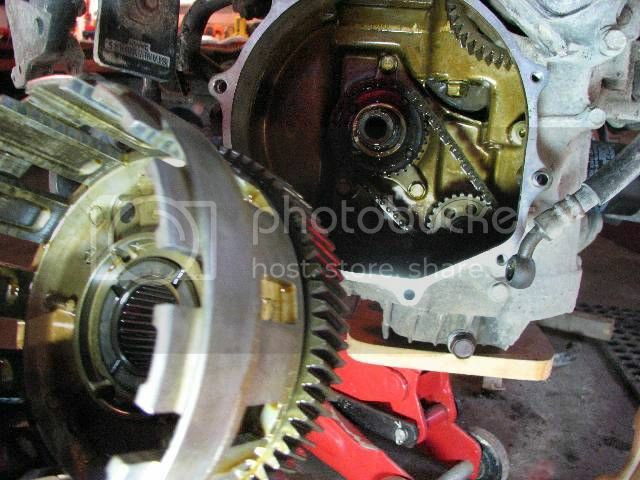 In the center of the clutch housing, you can see the long roller bearing. 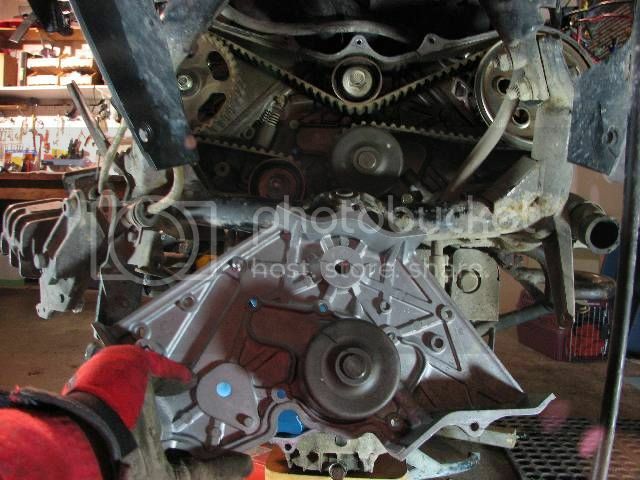 Inside the engine, the chain drives a gear for the oil pump. Splines on the shaft engage the center portion of the clutch assembly. All of the forward torque of the engine which pushes the bike forward is applied to those splines. They look fine on both mating surfaces on my machine. 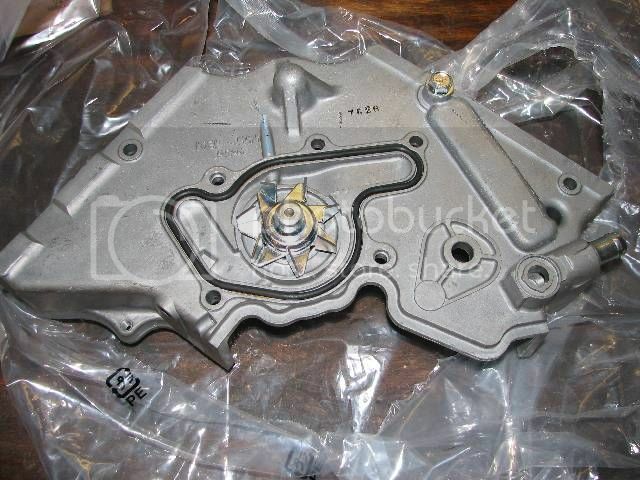 Here is a pic of the new water pump. 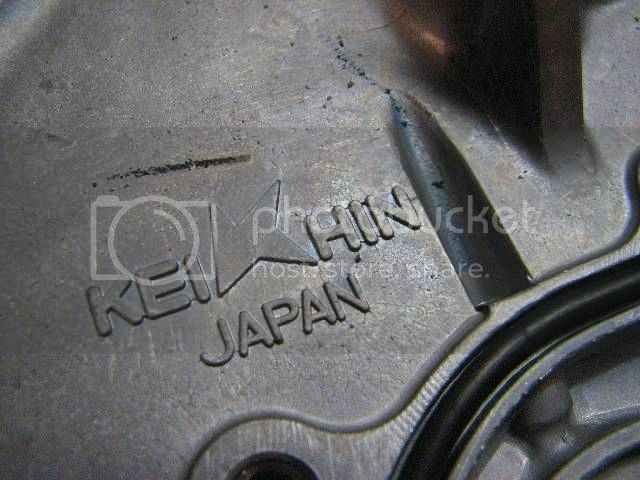 It's made by Keihin, the carburetor folks! Oh boy, that's a big job! 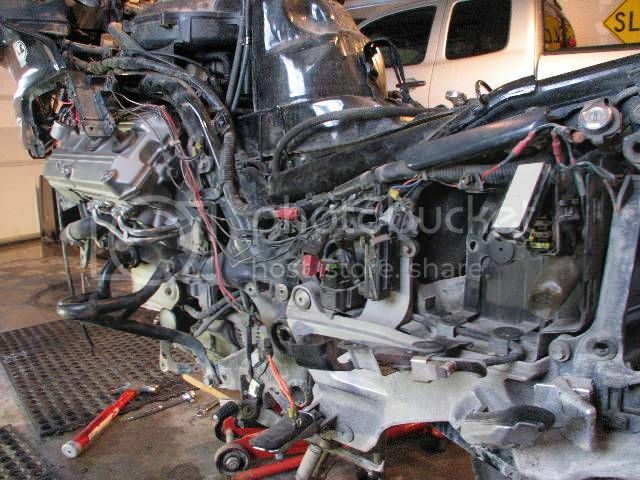 OK, belt removed, pulley removed, tensioner removed, seven bolts removed. Uh oh, pump will not come out until I remove a cam pulley and housing. Time to order another gasket! Here's the new pump, and the old pump. Bearing on the old thing spins up just as well as the new one. Oh well, can't be too cautious I suppose. 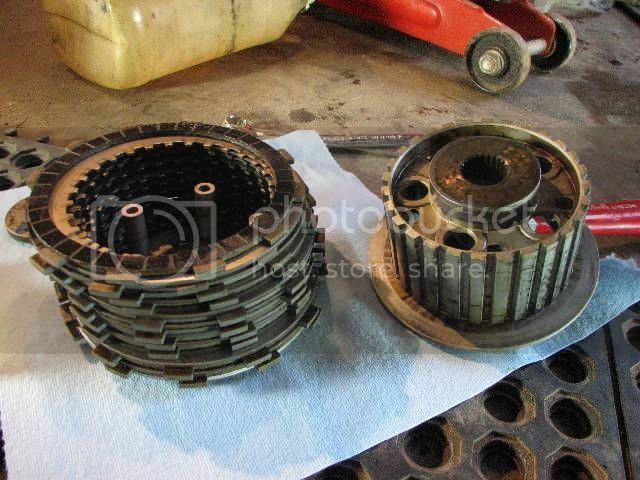 Question(s): So are you replacing the clutch plates or springs or both? Reply by Thane Silliker: Yup, doing the friction AND steel plates, and springs, and new slave cylinder, and rebuilding the master. Comments by WJ Bertrand: Other options to getting the clutch hub nut off without the factory holding tool is to use a pneumatic impact wrench or have someone stand on the rear brake pedal with the bike in gear. I used the former to remove the nut (zzziiiippp!) and the later method to reinstall it. Question by George: Given all that you are doing, labor plus expense, a lower mileage replacement motor with 40 ampere in place, might be a cheaper and easier fix. Reply by Thane Silliker: Working on my bike is part of my plan to rack up huge miles on the odometer. I want to see 500,000 kms on the clock. I like being able to say the motor is original. 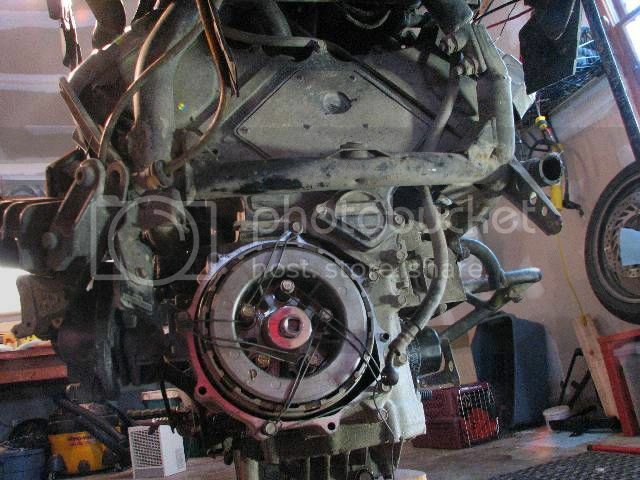 I suppose I should put an asterisk next to that, as things in the motor have been replaced, like the oil pump (yet to be done, but it is on my bench waiting), water pump, timing belts, clutch plates. Alternator is original and OK, although I replaced the brushes in the spring when I rebuilt the rear diff when it began leaking oil. I also did the u-joint as a precaution since I was in there tinkering. So anyway, I like the idea of stretching the motor as far as I can go. So far (knock wood) she is running very well, and using not much more oil than when new. No ticks or knocks... 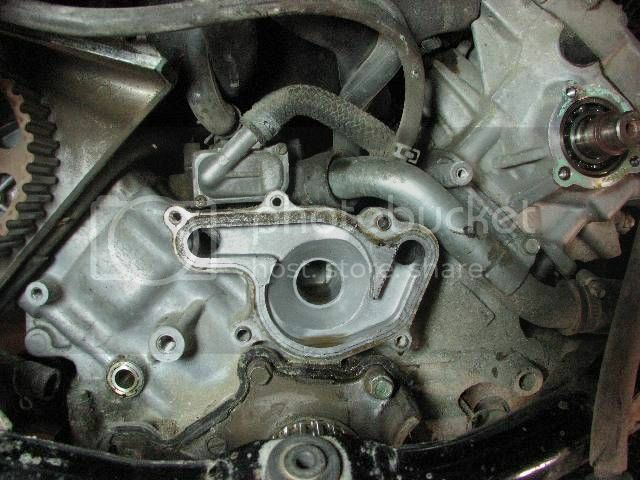 Compression and leak-down were checked last winter and the numbers are good, just like new! After 500, I'll just have to see how she works. After this winter, she will be good for a while I suspect before I have to do anything major. Thank You again for your contribution Thane Silliker, STOC #730.